This day-long Mediumship Workshop will provide individualized hands-on practical experience that can boost your mediumship abilities and the information that you receive from Spirit. This is a hands-on mediumship workshop. Come prepared to read and work at Spirit Communication. You’ll discover how to use tools to “tune-in” and learn how to fine-tune your own inner-guidance system. 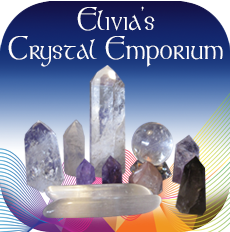 Elivia will hold space for you to give and receive messages from spirit, loved ones past over or the angelic realm. This will be an all interactive Mediumship Workshop. Refine your skills, expand your abilities. Spirits Are Waiting to Speak to You! Do You Worry You Don’t Have What it Takes? Some might question if they have what it takes to be a medium. No worry! Just know that everyone has Mediumship abilities to some extent and everyone is psychic. What you do have, can be amplified many times! * Bring photos of a deceased loved one and/or a pet and a bag lunch to the Mediumship Workshop. * Cost $150 – in advance, $200 day of Preregistration is strongly suggested. RSVP NOW to hold your place – Class size is limited!!! Location: Private home in San Marcos, North County San Diego. Directions will be emailed to you when you register. 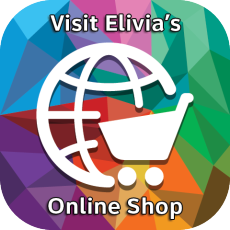 Elivia Melodey is a renowned Spiritual medium, inspirational speaker and sound healer as well as the founder of the Crystal Vibrations Music Label. She presents concerts, workshops, and readings throughout the United States and is a highly respected spiritual teacher. Dubbed “The Angel Whisperer” for her accuracy in Spiritual Life Readings by Awareness Magazine, Elivia developed her innate ability to read energy, dowsing as a child and has been an ordained Spiritualist minister since 1985. With the release of four critically acclaimed CDs, she has established herself as a recording artist whose music is used in healing and spiritual centers around the world. A woman with many gifts, Elivia is also accomplished in Shamanic journeys, Reiki Master, Jin Shin Jyutsu and Lightbody Practitioner, Certified Trance Medium and holds a Masters of Fine Arts from the University of Florida.